Create Dazzling Decor with Christmas Decorating Ideas! Create Dazzling Decor with These Christmas Decorating Ideas! Home » Article of the Week » Create Dazzling Decor with These Christmas Decorating Ideas! Well ladies, my favorite time of year is almost here again, and for some reason this year, I am feeling that Christmas spirit deep in my heart already. In fact, I’ve been anticipating the excitement of the coming holidays since before Halloween, but don’t tell anyone. Last year, I had a little trouble getting into the holiday spirit, and I put everything off until the very last minute. Once that Christmas tree went up with the beautiful shiny ornaments, and all of the Christmas decorations filled my home inside and out, however, my inner Grinch was tamed. If your inner Grinch is hampering your spirits this holiday season, keep reading. 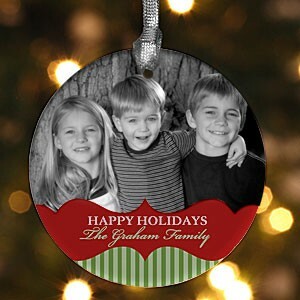 We’ve got some fresh Christmas decorating ideas that are certain to help you get your Santa on! 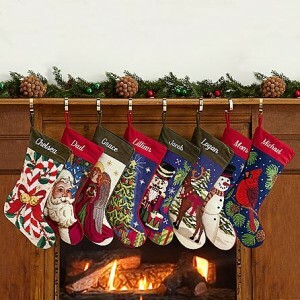 Add new life to your tired mantle this holiday season with fresh customized stockings and a unique trick. Once your stockings are hung by the chimney with care, drape natural-looking garland across the edge of your mantle and place those otherwise plain glass balls in clusters of 2 or 3 at the corners. Now add a couple of candles and maybe a decorative mirror, and voila! Welcome your holiday guests with a unique Christmas wreath this holiday season, but don’t stop there. Order a few freshly prepared wreaths and hang them from the inside doors throughout your home as well! If you want to get even more creative, use wreaths to add some holiday spirit to windows and mirrors as well. Not only will they add a splash of color to your decor, but the scent of freshly cut pine is sure to put your inner Grinch to rest. Christmas decor doesn’t have to be centered around the traditional reds and greens. Use your existing decor as inspiration and create a winter wonderland that reflects your personality. Colors to consider? Blue and silver will brighten your home with a modern holiday feel, while purple and gold will create a royal ambiance that is fit for the three kings. Spruce things up with natural decor from your yard or the nearby park. Pine cones, painted twigs, small branches from evergreen trees, and even dried flowers can add a unique holiday touch to your home this season. What are your favorite holiday colors? Do you have creative decorating ideas that we haven’t included? Add your inspiration in the comments section below, and be sure to share this on social media to see what fun Christmas decorating ideas your friends might have.